Every day thousands of tons of waste which includes garbage, thrash, industrial and chemical waste is gotten rid of by simply throwing it in the sea and due to this activity the sea is polluted. Sea is home to bottlenose dolphins along with several thousand other creatures, as pollution is harmful for man it is equally harmful for the creatures found in sea. Pollution caused by man forces them to move to a new safe place where their food is not poisoned and they can find clear water to swim in. This relocation has a negative effect on the behavioral patterns of the bottlenose dolphins thus reducing them in number. 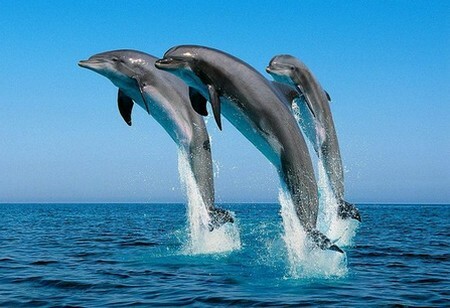 The bottlenose dolphins are endangered due to another reason also which is illegal fishing. The hunters who capture the bottlenose dolphins earn high profits by selling them, even though it is against the law. Most of the bottlenose dolphins get killed in the process of being captured as in some cases the fishermen uses big nets and other illegal means such as explosives or dynamite. Due to this method of fishing the sea environment is negatively affected and several sea creatures are killed. In order to keep the eco- cycles working; nature has a way of maintaining a balance between the prey and the hunter but an imbalance is created as a result of human activities that clearly go against the law of nature. For instance, the bottlenose dolphins eat small sharks, squid, shrimps etc but the population of these sea creatures has been alarmingly reduced due to human interference. All these creatures are hunted and sold at exceptional high prices since the demand is high. Consequently the bottlenose dolphins are forced to move to places with more food which in turn increases the population in a particular area and is a reason for endangering the bottlenose dolphins. The daily pattern and behavior of the bottlenose dolphins is affected due to human invasion. Humans just for the sake of thrill and enjoyment try to get closer to the bottlenose dolphins in the water and cause damage to their natural habitat which is again a reason that contributes towards bringing the bottlenose dolphins at the verge of extinction. The increase in the number of tourist spots near sea water increases the tendency of the water being polluted thus endangering the sea creatures. Bottlenose dolphins are a part of the natural cycle of life in water and their extinction will affect the other creatures present in ocean. Despite of the fact that hunting of bottlenose dolphins can disturb the natural cycle of life under the sea no mark able steps have been taken to stop this act of brutality.